The building in the background with the impressive entrance and flag pole was ‘The Elms’. Built in the 1790s, it was one of Melton’s grandest private houses, with splendid and extensive gardens. The land and buildings were gradually sold. 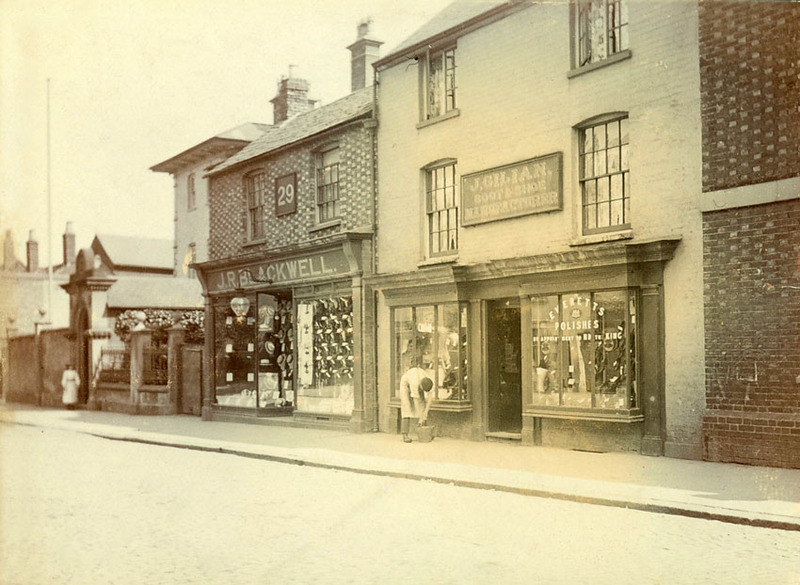 Elms Road and Oak Road were built on the grounds, and the telephone exchange on the site of the house, with shops on the Sherrard Street frontage. Approx date: 1895. Image ref: MM0207.